Juicy burgers on the grill. Vegetables cooked until they are crisp. Shish kabaobs over an open flame, that’s summer! Whether enjoying a meal at home or inviting friends for a spur of the moment cookout, simple maintenance will keep your gas grill at optimal performance levels. Proper maintenance not only makes the food taste better, but also improves the grill’s operation, and extends its life and averts the need for costly repairs. An easy routine to keep grill in good working order; turn off the burners and clean the grilling racks while they are still hot. Dip a brass brush into a bucket of hot water and use it to scrub the grill rack. Steam from the wet brush helps to loosen baked on food, so dip it in to the water frequently. Let the grill cool, remove the drip tray and clean it with soapy water or an oven cleaning product. To keep exterior surfaces clean and looking new, wipe them with a stainless steel cleaner to remove grease and splatters. If the stainless steel has a grained finish, rub in the direction of the grain. For baked on foods clean with a non-metallic pad. 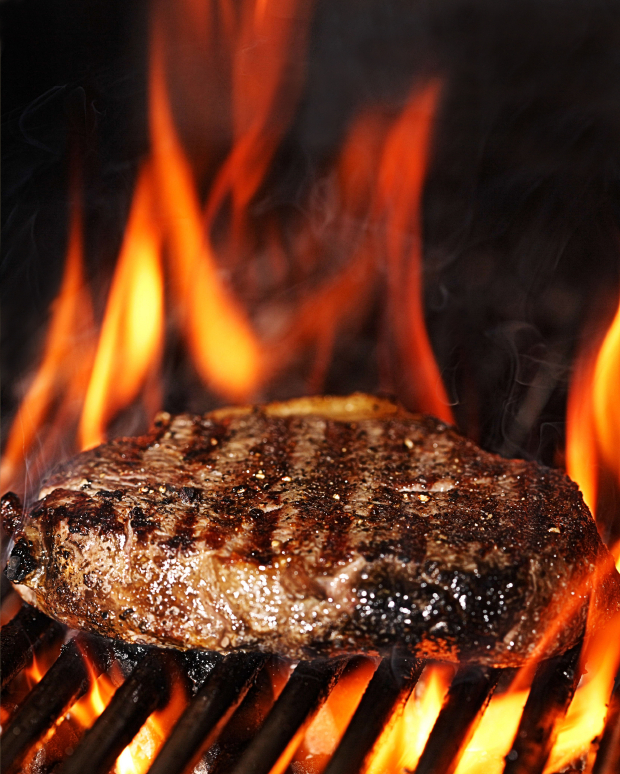 The best steak restaurants have been cooking with infrared grills for decades. Now it is an affordable cooking system for use in your own backyard. It simply uses two methods of heat transfer. First, the propane burner heats the air underneath the infrared emitter.This hot air, also known as convective heat, warms the emitter before it escapes out the front and back of the grill. As the emitter gets hot; it radiates infrared heat towards the cooking grate and coverts the convective heat, or hot air, into infrared heat. These grills use less fuel , because they heat and cook faster. Check out www.charbroil.com for more information.